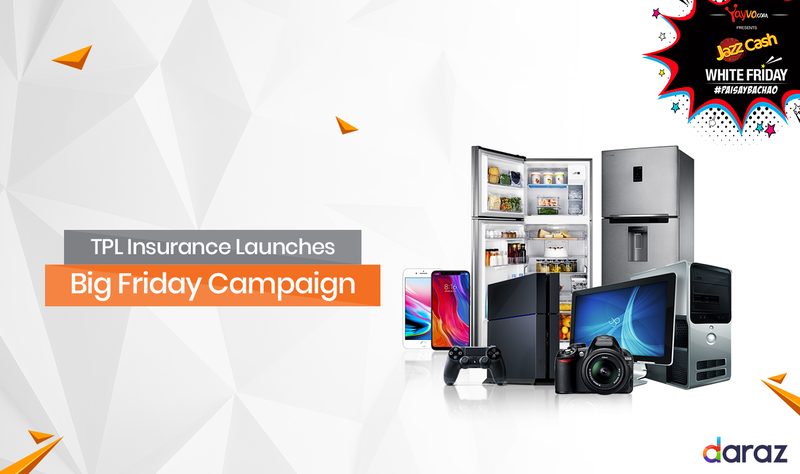 TPL Insurance has partnered with Yayvo and Daraz to launch exciting campaigns for the month of November. The campaigns give our customers exclusive products and discounts that are only available on TPL Insurance Official Stores on Yayvo and Daraz. TPL Insurance has joined forces with Yayvo as the Premium Insurance Partner for White Friday. An exclusive product, Purchase Protection Plan will allow users to shop stress-freely by covering purchased items against physical loss or damage, whether they’re purchasing electronics, home appliances, computing devices or mobile phones. Purchase Protection Plan is a brand-new product and insures goods from the moment they’re purchased to the second they’re delivered (and onwards, depending upon the package). TPL Insurance is also offering a flat 40% discount on Travel Direct Insurance, available on our Official Store on Yayvo. TPL Insurance is contributing to Daraz 11.11 by offering an exclusive product, Mobile Insurance. The new product will cover Accidental or Physical Damage to your new phone up to 10% of the phone value and in case of armed hold-up, recover your phone’s cost up to a depreciated amount. The policy is applicable to all phones purchased from 11.11 and can be bought directly from the TPL Insurance official store on Daraz. TPL Insurance is also offering a 40% discount on Travel Insurance products including International, Domestic and Student Guard Insurance. An exclusive voucher of 30% Off can also be availed on the all new, Secure T Insurance – TPL Auto Direct derivative which provides protection from Theft, Total Loss and Third Party specifically for private, old cars (from 2005 to 2015). For more information, please call our 24×7 customer service center at 021.111.000.301.